Otto Pareroultja and his brothers Reuben and Edwin worked and painted at the Lutheran Hermannsburg Mission in Central Australia. Initially influenced by their countryman, Albert Namatjira, and by Rex Battarbee, the Melbourne water-colourist who worked closely with the Hermannsburg artists, the Pareroultja brothers developed their own distinctive styles within a modern European land-scape idiom. In their paintings, the desert landscape is less representational than in Namatjira’s work, and is animated by their use of vigorous, sinuous lines, dynamic areas of repeated patterning and strong colours massed together. A white ghost gum in front of distant mountain ranges is a common motif of the Hermannsburg school. In an untitled study of two gum trees, painted at the height of the Hermannsburg movement, Pareroultja cropped the image so that the focus is drawn to the trunk of a mature tree. The trees are not isolated, however – Pareroultja merges them into the landscape and the sky by continuing the blue and purple tones in the shadowing and markings on their trunks, creating an integrated image of the land. The aged tree next to the sapling could suggest a narrative subject matter, contrasting maturity and endurance with youth, but it is more likely that Pareroultja depicts the rigours of this landscape without sentiment. 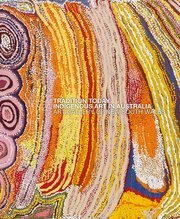 Contemporary commentators saw the parallel lines and concentric circles often used by the Pareroultja brothers in their watercolours as being distinctly Aboriginal motifs, signalling a modern Aboriginal art movement. Battarbee claimed that elements of Otto Pareroultja’s work were derived from Aboriginal rock art and from the designs on tjurunga (sacred objects). 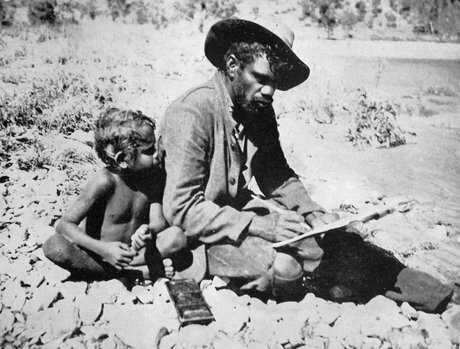 The linguist, T. G. H. Strehlow, singled out Pareroultja’s depiction of ghost gums as being, ‘ … in close harmony with Ancient Aranda … tales, according to which many of these old gums had arisen from poles abandoned on their travels by their original totemic ancestors.’ Strehlow also commented that Pareroultja’s watercolours are capable of reproducing ‘ … the same kind of distinctive Aranda feeling for balance, love of repetition and design, and sure sense of rhythm, that give such glorious vitality to their best verse’. Pareroultja’s paintings undoubtedly draw on his intimate knowledge of his land and culture. Some recent commentators on the Hermannsburg school suggest that these artists drew on sacred ancestral knowledge in their paintings; other writers continue to see the work of artists such as Pareroultja as a remarkable regional development within a European landscape tradition.